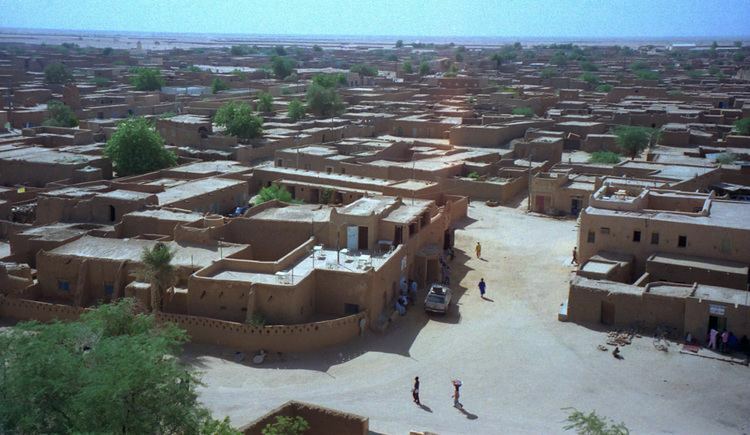 Agadez, formerly spelled Agades, is the largest city in northern Niger, with a population of 88,569 (2005 census). It lies in the Sahara and is the capital of Aïr, one of the traditional Tuareg–Berber federations. 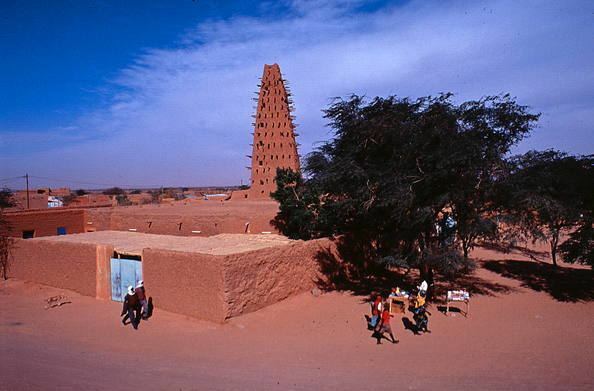 The city is also the capital of the Agadez Region. As of 2011, the urban commune had a total population of 124,324 people. The city was founded before the fourteenth century and gradually became the most important Tuareg city, supplanting Assodé, by growing around trans-Saharan trade. The city still sees the arrival of caravans, bringing salt from Bilma. In 1449, Agadez became a sultanate, while around 1500 it was conquered by the Songhai Empire. At this point, the city had a population of around 30,000 people and was a key passage for the medieval caravans trading between the West African cities of Kano (and as a result Hausa language is the traditional lingua franca between different ethnic groups in the city, especially in the area of trade, religion and administration) and Timbuktu and the North African oases of Ghat, Ghadames, and Tripoli, on the Mediterranean shore. Decline set in after the Moroccan invasion, and the population sank to less than 10,000. Agadez was the farthermost point of the Ottoman Empire in the African continent until the 19th century before being occupied by the French colonial empire. The city was ruled by the French from 1900. A rebellion by Kaocen Ag Mohammed occurred in 1916, but was defeated by French forces. Later, Agadez became an important location in the Tuareg Rebellion of the 1990s. 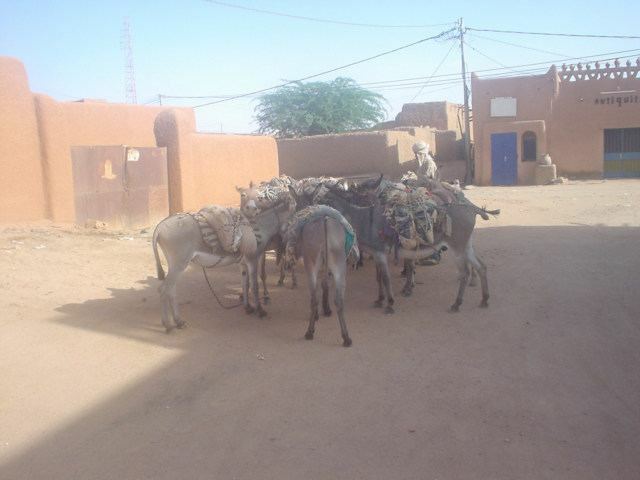 Today, Agadez flourishes as a market town and as a centre for the transportation of the uranium mined in the surrounding area. Notable buildings in the city include the Agadez Grand Mosque, originally dating from 1515 but rebuilt in the same style in 1844, the Kaocen Palace (now a hotel) and the Agadez Sultans Palace. The city is also known for its camel market and its silver and leatherwork. Some popular local musicians have found recognition in the west, like Tuareg guitar player Bombino and his band Group Bombino, Group Inerane and others. Mdou Moctars film, Akounak Teggdalit Taha Tazoughai, is set and filmed on location in Agadez. 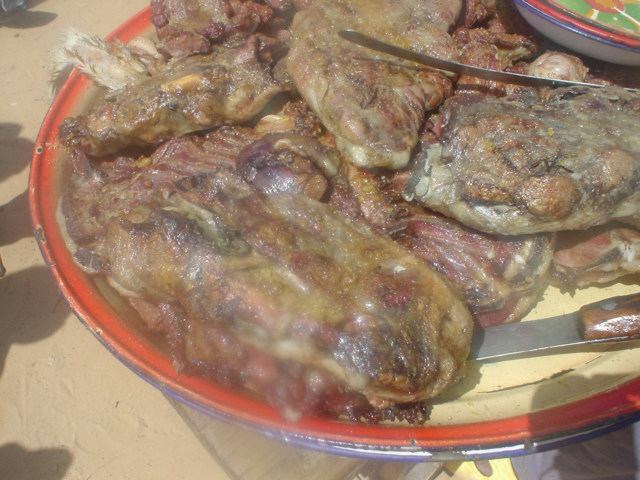 Taguella is a flat bread made from millet, a grain, which is cooked on charcoals in the sand and eaten with a heavy sauce. Millet porridge is a staple much like ugali and fufu. Millet is boiled with water to make a pap and eaten with milk or a heavy sauce. Common dairy foods are goats and camels milk, as well as cheese and yogurt made from them. Eghajira is a thick beverage drunk with a ladle. It is made by pounding millet, goat cheese, dates, milk and sugar and is served on festivals like Eid ul-Fitr and Eid al-Adha. In the Maghreb, a popular tea called "atai" or "ashay" is made from Gunpowder Green Tea with a handful of fresh mint sprigs and several cubes of sugar. After steeping, it is poured three times in and out of the tea pot over the tea, mint and sugar and served by pouring from a height of over a foot into small tea glasses with a froth on top.